It’s back!! Upgraded and better than ever. Now made from our new 16 oz, 100% Cotton C6 water Resistant canvas! The Classic Messenger will be your best companion no matter where you end up. [vc_row type=”in_container” full_screen_row_position=”middle” scene_position=”center” text_color=”dark” text_align=”left” overlay_strength=”0.3″][vc_column column_padding=”no-extra-padding” column_padding_position=”all” background_color_opacity=”1″ background_hover_color_opacity=”1″ column_shadow=”none” width=”1/1″ tablet_text_alignment=”default” phone_text_alignment=”default” column_border_width=”none” column_border_style=”solid”][vc_column_text]There are so many things to love about a classic canvas messenger bag : nostalgia, honesty and all round reliability. These are all the attributes we considered when designing this bag. We were after something rugged and reliable, a comprehensive day bag or long haul traveller that will last the distance. You can treat this bag rough and it will be forgiving: take it out into the dust, dirt and rain then with a quick scrub you’ll have it back looking and performing at its best. Equally at home in the country or the city this bag incorporates old school style with new school features. There are 3 accessory sized velcro pockets and an elasticized water bottle pocket to keep all your bits and pieces sorted. This year we have also added buttons with catches so you can secure the lid for protection and to stop it flapping in the wind. It also boasts 3 zipped pockets- 1 on the front flap for all the bits you need secure but close at hand, 1 on the front of the bag under the flap and 1 internally for extra security. 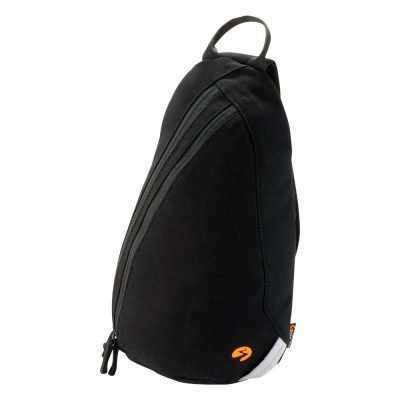 The main compartment fits a 14″ Netbook or anything A4, and has a dual zip closure. The back and bottom/sides panels has 5 mm foam to cushion the ride. Bristling with compartments this canvas carry all will become your new best friend! Overall pleased with purchase. I’ve been using the bag for a month now and it’s proved to be perfect for work use being able to fit in the most important stuff e.g. lunch alongside a tablet and files. 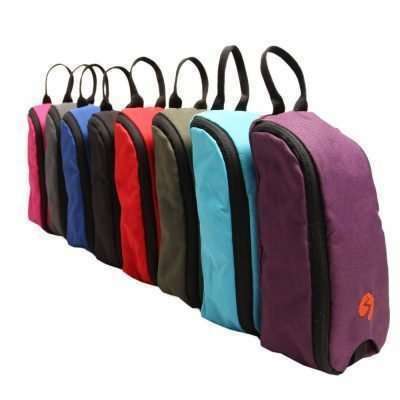 The canvas is good quality and appears more durable than other bags I’ve tried and worn out. The orange interior makes it easy to find what’s inside. All up – pretty good! This is the second Classic Messenger Ive bought for my husband- the first one was much loved and well travelled. It had trekked the mountains of northern Vietnam, climbed the temples at Angkor Watt and cruised the Pacific Islands – but then IT happened! The teenage son started work and decided it was perfect for his new job and little by little the bag went from our end of the house to the dark side where the teenager resides. But Christmas came and with it, so did another Classic Messenger bag in a new colour all ready to visite Petra, Jerusalem and Crete. Phew … crisis averted and family unity is restored. It’s my second bag from Nomad, and I’m not disapointed; the Classic Messenger is the single best bag of its kind I’ve ever owned. An excellent build quality, lots of pockets, enough space for most everyday essentials and all but the biggest laptop. I’ve tried messenger bags from Timbuk2, Wenger, Victorinox, Diesel, and many others. This one seems to be the perfect size, have just enough pockets, and is pretty fashionable. Brought a Cross Body Bag a year ago now in St Andrews, VIC. I loved the olive green colour and the design. It also looked durable. One year later, wow, What an Awesome bag! It’s held everything from iPads, keyboards, film equipment etc…and still looks amazing. Well done guys for creating such a great great product. Seriously, there’s nothing to compare. You can tell that creativity and passion is put into every product. Rarely seen these days. Well done!